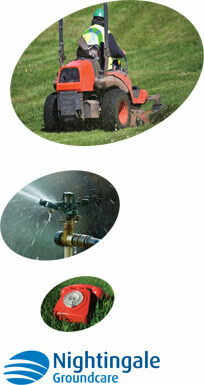 Are you looking for grounds maintenance contractors in Portsmouth? The grounds that surround your place of work can say a lot about you. It's quite often the first thing that your visitors will notice, so it's important that your grounds are kept up to high standards. No one will want to see overgrown grass, dying plants and litter on the lawn. Instead by having a pristine and well-presented ground to show off, you can show that you are a company who cares a great deal about their image. If keeping up appearances is something that you're passionate about, we are here to help. At Nightingale Ground Care we are specialists at commercial landscaping and grounds maintenance. When you choose us, we do our best to cause minimal disruption and ensure that your grounds are maintained up to the highest of standards. We can help with anything from grass cutting and litter collection, to weed control, installation of signage and irrigation systems. No matter your requirements, we are confident that we can deliver a first-class service. To speak to us about your landscape garden requirements, fill out the contact form on our website or call us today on 01794 323606.